We&apos;re halfway through March now and you have to wonder how many people are still following through with their New Year&apos;s resolutions. Hopefully most people haven&apos;t given up on their resolutions just yet. According to a survey by Nielsen, the top two New Year&apos;s resolutions last year were both fitness-related. The number one resolution, claimed by 37 percent of survey respondents was to “stay fit and healthy,” followed by “lose weight” with 32 percent. Fitness is apparently important to many people&apos;s lives because it helps one grow better physically and even mentally. There is definitely a boom going on with fitness related products and services last year and this year, with the prominence of fitness technology and an increasing number of fitness centers popping up throughout the United States. This is in part due to large-scale modernization, which is evident in a report done by Transparency Market Research. Their report titled “Global Fitness Products and Services Market Analysis and Forecast 2014 – 2020,” shows how spending capacity has increased for the opening of fitness clubs and gyms along with affordable training equipment, personal coaches, and cost-effective and advanced technologies. One real world example of finding a good location for your business is how Kevin Hourihan and Chuck Abele managed to create The Smoothie Shop in Mill Creek Shopping Center, Shawnee Mission, KS. They were able to scout a location just two doors down from a Planet Fitness. They were able to form a relationship with the local Planet Fitness franchise owner as they have been seeking locations close to exercise centers around Kansas City. Hourihan opened the first Smoothie Shop in Lee&apos;s Summit, MO, and has since opened locations in Belton and Blue Springs, MO. Their business thrived not only on a keen sense of location and communication, but also because they believed in their product of offering fresh smoothies infused with whey protein. These smoothies are usually made to be as meal replacements or supplements for fitness-minded individuals. Some additional attributes to the founder&apos;s success are respect for their customers and making sure to educate customers about proper nutrition, so that customers can perform optimally in training. “This is a great cohesive fit, especially with Planet Fitness next door,” said Hourihan. But then again, the founders of The Smoothie Shop were able to find a niche market for his smoothies and as a result his business thrived and complemented existing Planet Fitness centers to help attract the desired target customers. So whether you don&apos;t find this as an opportunity or not to penetrate the fitness market, you can still apply the same principles of finding an anchor or major chain, such as Planet Fitness, in order to find your target market. It would also help to research and reach out to the anchor or major chain to see how your businesses can co-exist with them in the same location and attract even more of the target market. So how can you become successful like Kevin Hourihan in finding a proper location for your business? If you are interested, read further down below on how you can use Directory of Major Malls: Online Access to achieve better business acumen and success. 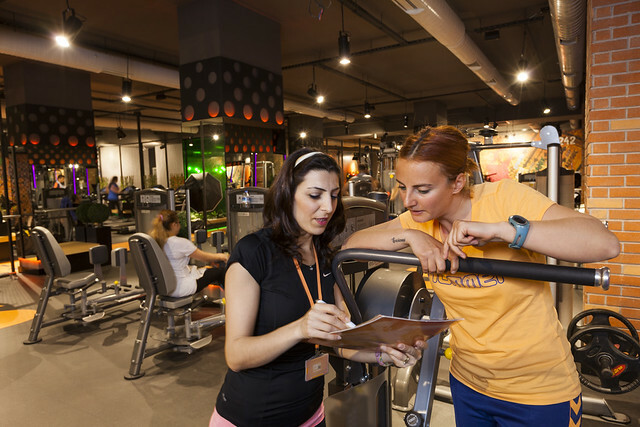 Let&apos;s suppose you came up with an idea for a fitness related retail business or even an existing business that may be a great addition to fitness centers, but don&apos;t know where to start. Directory of Major Malls can provide you with invaluable insight via online access at ShoppingCenters.com. All this may spell out a great opportunity for you to start your own fitness-related business or to continue growing an already established fitness-related business. By finding the right location, you will have the ability to better position yourself in finding the right target audience. Being aware of location will not only make you more up-to-date with complementary businesses but also with competitors as well. Directory of Major Malls can help you find suitable prospects for your business with key insights such as trend demographics, sales / market data, stores, contacts, physical features, leasing information and more, to help you make well informed decisions in dealing with small to large-scale commercial properties. With this tutorial, we will briefly show you how easy it is to find suitable locations and learn more about the property and the necessary information to move forward with your business interests. For example, let&apos;s go to “Start Query” and create a filter under the “Geography” tab to find centers in the state of New York and New Jersey (not limited to these selections). Then, go to the “Stores” tab and search under “Keywords” for popular fitness centers. Then add each of them individually with a click of the green arrow button pointing to the right. For example: Bally Total Fitness, New York Sports Club, Retro Fitness, YMCA, and Gold&apos;s Gym (not limited to these selections). You can also use keywords such as “fitness“, “gym“, and “sports” to locate stores with those terms in their name. Then click the “View” button. Scroll down to view all of your results. You can press the top of each category to sort it by that particular category. Once you want to find out more on that particular center click on it and scroll down to “Listing Details” for more information. For more information on sorting, click on our tutorial on How to Sort. Or to learn more about using the “Search Query” and more, click this: Technical Support Page Link.